Comments from RBNZ Governor Bollard this afternoon triggered a sharp sell-off in the New Zealand dollar. After having already cut interest rates by 525bp, he is telling us that the New Zealand economy could still weaken and because of that, he is not happy with the rise in long term yields. So this suggests that either Bollard is planning to cut interest rates again at the end of the month and/or he will consider buying longer term bonds to drive yields lower. Australia on the other hand could very well opt for a 25bp rate cut or not cut at all at their monetary policy meeting next week. Goldman Sachs Australia is calling for no rate hike and their forecast is supported by a piece written by Terry McCrann, a well known journalist covering the economy. He argues that the RBA has done more than most central banks and because of that, they have the luxury to pause. 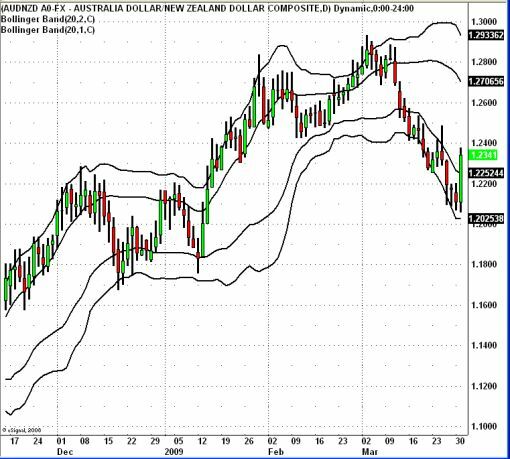 The diverging interest rate outlook could lead to further gains for AUD/NZD. The 1.24 level is a fairly significant resistance point but if the currency pair manages to close above that level, we could see a move to 1.26.